CANNES: Iconic Bollywood actor Sridevi was posthumously honoured at the 71st Cannes Film Festival. Film-maker Subhash Ghai, who received the award on her behalf, says he felt honoured. Sridevi was honoured with the TITAN Reginald F Lewis Film Icon Award, which celebrates women of the film industry all over the world and also salutes the multicultural impact on the film industry. Sridevi’s producer husband Boney Kapoor said he and his daughters Janhvi Kapoor and Khushi Kapoor were overwhelmed with the recognition, tributes and love that the superstar has been showered with. Sridevi was also honoured with the National Award at the 65th National Film Awards ceremony in Vigyan Bhavan in New Delhi. Boney along with daughter went to Indian capital city to receive the award for the late actor. She won the Best Actor award for her performance in the film Mom (2017). 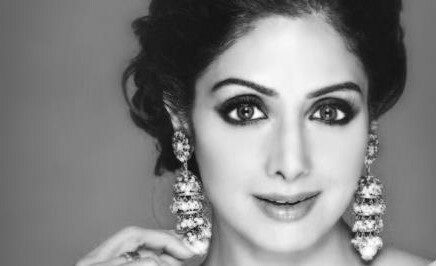 Sridevi in February died due to accidental drowning in a Dubai hotel.